A year ago, a friend from India gifted me a copy of a best-selling non-fiction book with the word “Surrender” in the title. We had on-going email metaphysical discussions, and he knew I was writing about that stuff in this blog. The book had raised some interesting questions for my friend regarding the existence of God, the nature of God, and man’s relationship and role with God – questions he could not answer as a brilliant man seeking to know the truth by reading diverse spiritual texts, as well as articles and books about those texts. But now I’m sharing it with you, on this blog. Why? Because I wrote a series about the experiences – a “dark night of the soul” + “my life isn’t working” + “work burnout” – that not only nailed my beliefs, but galvanized them. 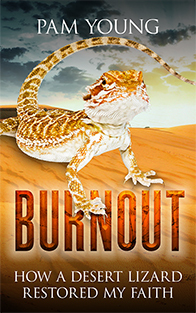 I’m referring to the Burnout to Bliss series that began with BURNOUT: How a Desert Lizard Restored My Faith (published December 2016). Understanding the writer’s perspective can help readers understand the content the author writes. Please note that I’m sharing my understanding, developed over a lifetime of study and personal experience. A person’s spiritual beliefs are, well, personal, “one’s own.” I don’t expect anyone to share them with me (and I’ll appreciate it if you can honor that and not argue with me about my personal beliefs). Got examples of “surrender” from your own life? How do you balance “surrender” with the ideas of creating one’s life that you write about on your blog? Please keep in mind that what follows are my answers (written in December 2017) to personal questions from a dear friend, a conversation that took place over many emails. I’ve condensed them here, shoving all that discourse into only a few of the many questions raised and discussed. And, about terms: I know there are many names for Higher Power – God, Spirit, Allah, Yahweh, All That Is, The Universe, the Force…. Please substitute whatever works for you. I’ll probably use “God” because it’s only 3 letters to type. 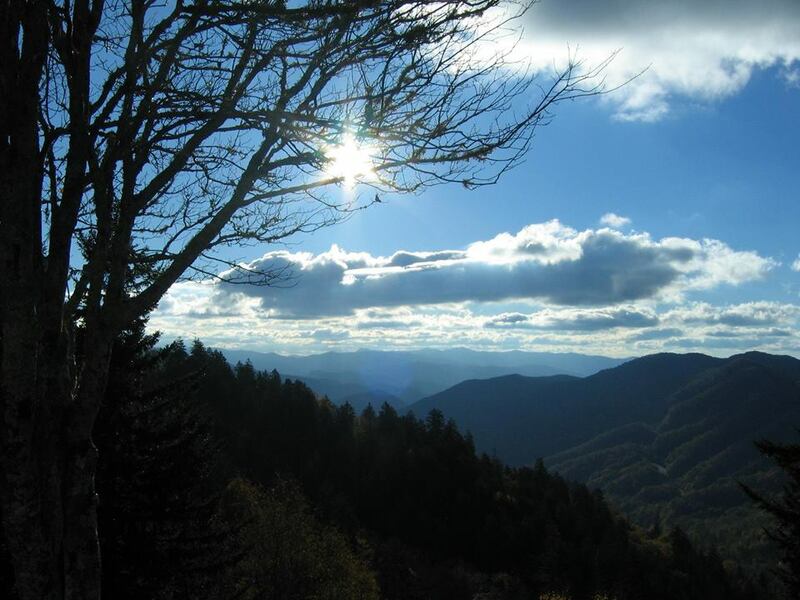 To me, “surrender” means, above all else, acknowledging that a higher power exists. It also means that Higher Power is omniscient (knows all) and omnipresent (is everywhere). Therefore, I am part of God – just as you are, just as my cat is, just as my neighbor’s barking dog is. I am a thought in Universal mind; God is expressing through me. That said, for me, surrendering to that Higher Power, means acknowledging that God is like the ocean and I Am merely a drop. God is ALL That Is and I am this tiny speck. God is the Source of everything that every existed or will exist. Because I am part of All That Is, I can be guided by “someone who knows more than I do” – always the best choice, at least in my world. The “communication highway” between me and God is within. (For Bible readers, it is referred to in this quote, “Be still and know that I am God…”) That’s why I meditate every single day. Because I do, I am open all day every day for guidance. I am here to enjoy life and become the very best I can. I trust that all my needs will be met before I am aware I have them. (Please see Matthew 6:24- in The Holy Bible.) With that understanding, I do not have to worry about my daily existence, but can “follow my heart” instead, creating whatever I choose with the understanding that I am not the creator. As I am part of God, I am a co-creator. It is not my power, but God’s, that does the creating. Got examples of surrender from your life? Weeks after I had completed my doctoral program in 1976, I was hanging out in my office, fretting about the job applications I’d sent out and visiting with students, when my mentor, O.L., came in and said to those girls, “Take her camping, will you?” O.L. and I were on the same page re’ trusting that our lives are in Divine Order and he was reminding me to “Let Go, Let God.” We had an excellent no-agenda trip through several states packed with fascinating experiences, and when I returned I had a pile of mail from those job applications expressing interest. On that same venture, the current driver forgot the rule I had declared at the beginning, “The driver is responsible for checking the gas gauge and making sure we don’t run out of gas.” She didn’t, and we did run out of gas – in the middle of the woods, late at night. The girls were freaking. I silently asked for help. When I was driving home on a highway south of Durango, a car coming from the north appeared to be in my lane. I was going the 60 mph limit, but the other car was moving faster. From my perspective, he was coming straight towards me! That seemed illogical, like I would be killed in the coming head-on collision. But I did as told because it wasn’t my first time getting that kind of advice. In January (2016), hours after agreeing to a speaking engagement at a metaphysical church for the coming Sunday, mere days away, I succumbed to “Whatever’s going around.” This one manifested as a dry cough that wouldn’t stop. With all that coughing, I was losing my voice. I felt lousy. There was no way I could prepare for my talk at the church, much less give it. I phoned the minister and asked him to reschedule, to cover for me. So I printed some things from my computer that I had used in writing the book, grabbed a handful of Puffs, and the last of my cough drops, and my girlfriend picked me up for the hour drive to the church. I coughed for the entire trip. When the minister directed me to sit in the front pew instead of the back with my friend, I nearly fainted. I coughed, blew my nose and used my breath to relax. Waiting for the minister to introduce me, I turned it over to God. I had not prepared, I felt horrible, but I knew, no matter what happened, my life was in Divine Order. I had to trust that the book I’d written, Rethinking the Law of Attraction, the basis for this talk, and the fact that I had been a teacher for many years, offered enough preparation to give it. Apparently it was. I not only got through it, but received kind words of appreciation for it. Bottom line: my concept of surrender means to “trust the process” – surrender – in all things, including scary ones. How does your belief in “surrender” jive with the ideas of creating or manifesting that you write about on your blog? Hmm. The distinction I tried to make in Rethinking the Law of Attraction is found in the difference between the terms creator and co-creator. I believe we are here to co-create with our Creator for the love of it, to have no attachment to outcome. Our joy comes from doing what we love. The outcome is irrelevant because (if we align ourselves with Source) all our needs are already met, even before we realize that we have them. The steps for creating begin with inspiration. an idea, a thought, or a desire. We consciously – or sadly, unconsciously – “choose” or “invest in” that thought with our attention (thoughts, words, action). We act as if we believed we deserved it. We offer thanks as if it had already happened. In so doing, we are having no attachment. We know it is ours and we have given up control, allowed the Universe to create through us. We have trusted the process by surrendering any attachment to outcome. Nor do I expect to master all that in this lifetime. I don’t believe anyone does. But I do enjoy the evidence that my beliefs form a solid foundation that supports me – no matter what’s happening. Rethinking the Law of Attraction. This link goes to a page about the book: description, reader’s comments, links to recordings of the talk at the metaphysical church and a radio interview, and links to buy the book. 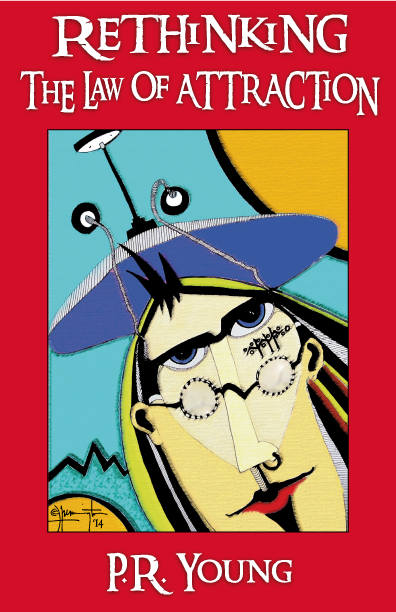 Book 1 tells the story of a workaholic who experienced existential crisis. The tale begins with her murder while she was lecturing. It relates all the ways the she sought relief – from self-medication (alcohol, drugs, and men) to psychics to counseling and psychiatry. And it shows how real healing began when the author camped with shamans in a culture vastly different from her own. The first get away from that extreme situation was to a “sanctuary” in California as related in Book 2, CYCLING in the CITY. The Universe presented that get-away apparently so I could heal myself enough to take the next step. Book2 is about overcoming limitations –one small step at a time. It’s also about the process of making life changes – like why resolutions don’t stick. It shows how you can plan for success instead of failure – even when you want to make tough changes like quitting smoking, alcohol or drugs. And, it includes the underlying SECRET for success! 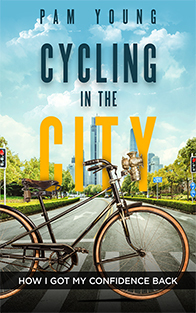 CYCLING in the CITY is available On Amazon here. On other venues HERE. 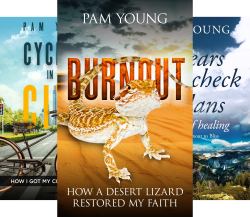 This entry was posted in Personal Journey, Spiritual Journey and tagged Burnout to Bliss series, emotional survival, My Weird Indy Publishing Project, personal journey, search for meaning, spiritual beliefs, spiritual journey. Bookmark the permalink.